Your passion is building your business, and our passion is building communities. Coalition supports the people who are working hard to make their ideas real. 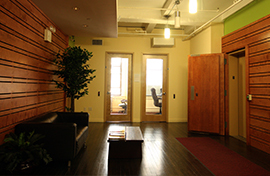 We provide coworking space and private offices for entrepreneurs and their teams. Collaboration is a core part of Coalition. Our spaces and events are built to make it easier for entrepreneurs to meet and bounce ideas off of each other. We host regular events so that you can get even more out Coalition. We’re proudly a MicroOffice company, so you also get access to the business network they’ve built since 2003.